The difference, of course, was that these were illegal home breweries, in violation of the state’s prohibition law. 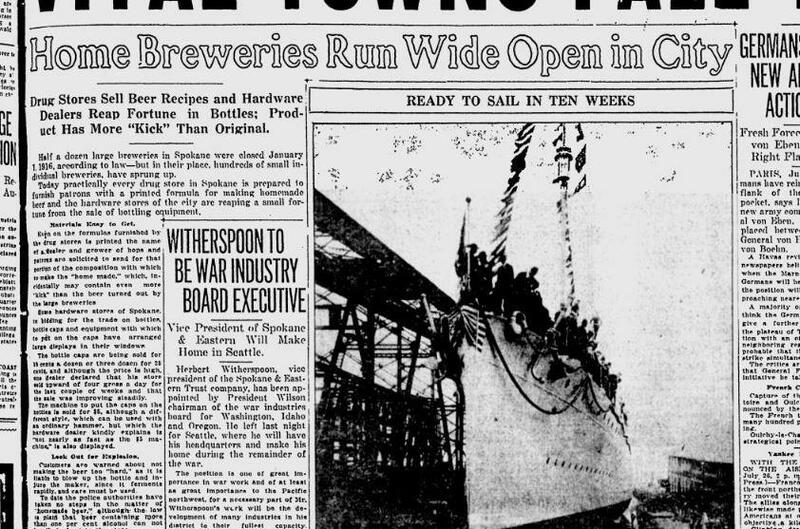 When the law took effect in 1916, about a half-dozen large Spokane breweries shut down, but the Chronicle said hundreds of small individual breweries had sprung up in their place, in the city’s basements and cellars. Hardware stores were openly selling brewing apparatus and bottling equipment, sometimes even including a helpful formula for making home brew. The city’s chief of detectives said that his men would be more vigilant and might start making tests of homemade beer to see how much alcohol it contained. 1947: President Harry S. Truman signed the National Security Act, which reorganized America’s armed forces as the National Military Establishment and created the Central Intelligence Agency.